Click the Refresh Button for the latest audio. This week, Mimi reads the parable of the ten virgins and she and Zach discuss the text, acting, and why she doesn’t like her voice(?!). This week, we finish our reading of the book fo Ruth. 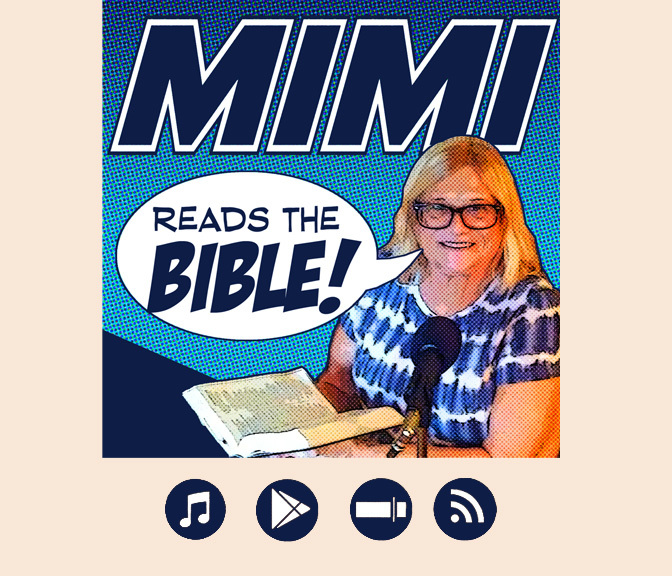 This week, Mimi reads from Ruth 3, as the story of Naomi and Ruth comes to a head. Mimi reads more from I Samuel and the Magnificat from Luke 1. She and Pastor Zach discuss Bible translations and paraphrases. Pastor Zach and Mimi discuss whether she has an accent. Mimi reads from I Samuel, the account of Hannah’s prayer.